Brittany Underwood (ex-Langston, OLTL; ex-Loren, HOLLYWOOD HEIGHTS) has joined the Season 4 cast of THE BAY. She'll play Riley Henderson, daughter of Jacklyn Zeman's Sofia, a Southern belle who relocates from New Orleans to attend Bay City University. LANY Entertainment announces the addition of actress and singer Brittany Underwood to the cast of the Emmy-winning drama series THE BAY! Making her appearance in the eagerly anticipated Season 4, Underwood enters Bay City as ‘Riley Henderson’, the young southern belle daughter of socialite and former first lady Sofia Madison (Jackie Zeman). Read the entire BUZZWORTHY RADIO article HERE. CBS SOAPS IN DEPTH: No Moss Under His Feet! 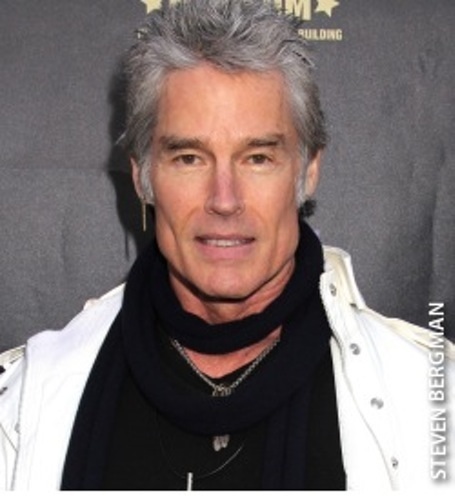 If you've been missing seeing THE BOLD & THE BEAUTIFUL's Ronn Moss (ex-Ridge) on your screen, now's your chance to see him in person! The multi-talented performer is hitting the road this summer with his band, Player (best known for their 1977 hit, "Baby Come Back") as part of the Rock The Yacht 2015 tour. Read the entire CBS SOAPS IN DEPTH article and watch "You're My Addiction" video HERE.